AMW Bulletin: SM Cinema's Free Movie Day! SM believes in spending time with our loved ones and one of the priceless activity we could think of is "movie watching". 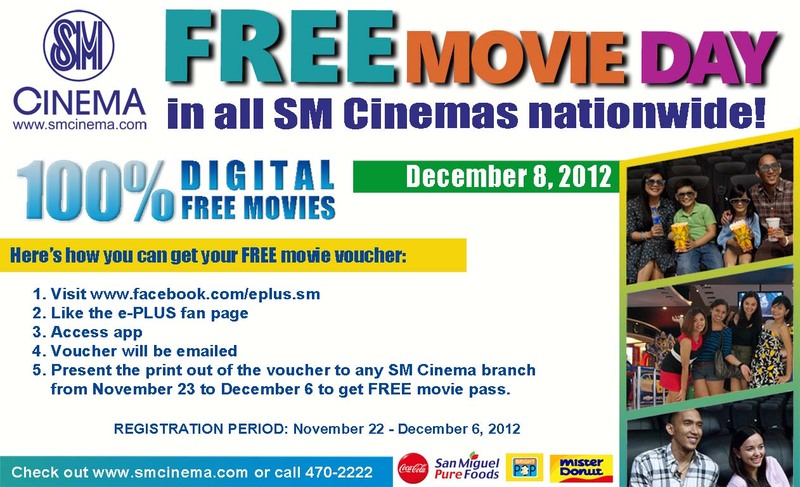 As SM Cinema celebrates this special all-time bonding activity, they will open their doors to a FREE MOVIE in all the 256 Digital Theaters in 45 SM Cinema branches around the country! Click on the Free Movie App. Choose your Cinema, Time and Movie. 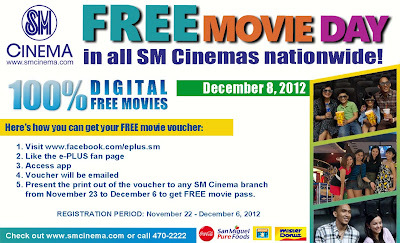 Surrender the printed confirmation email at your preferred SM Cinema branch for your free two tickets. Fun and easy! I can't wait to book my parents free tickets for their "afternoon movie date"! ako din! i can't wait for the list of movies para I can pick for my parents!!! :D They love to watch movies pa naman!